Do you struggle with finding the best shutter speeds when shooting unfamiliar subject matter? It can be difficult to know how to set up your camera to freeze movement, capture motion blur and other popular digital camera effects. In the latest of our ongoing photography cheat sheet series, we've put together our list of what we believe are the best shutter speeds for every situation. We spell out each shutter speed and what it is typically used for, and we also have provided a super-quick guide on how to adjust your shutter speed. 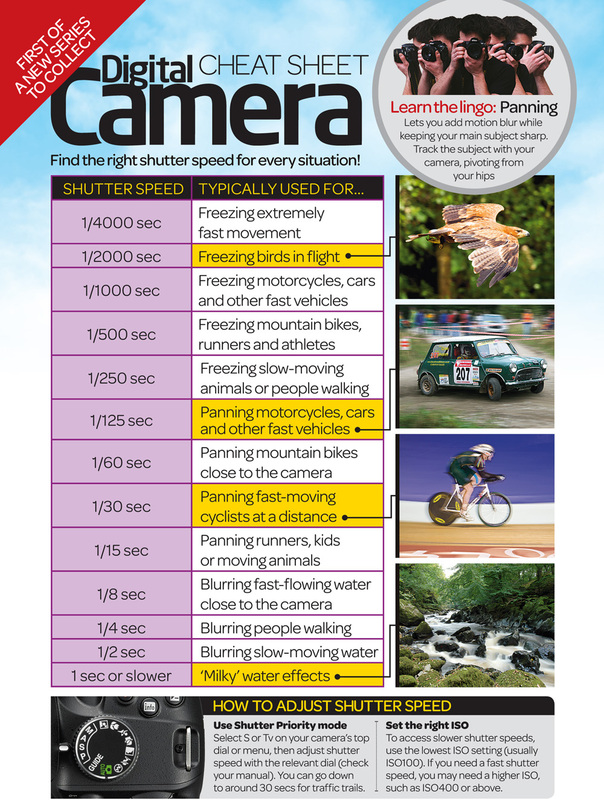 Of course, no list is definitive and you may have some other suggestions for what these shutter speeds are best used to photograph. If so, let us know in the comments! 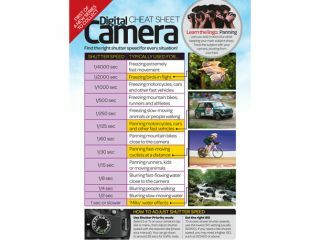 To download the large version of this photography cheat sheet, simply drag and drop it on to your desktop. And if you liked this infographic, you might like some of our other photography cheat sheets, such as our guide to understanding the color temperature scale, our portrait photography cropping guide and our easy guide to how to read a histogram.